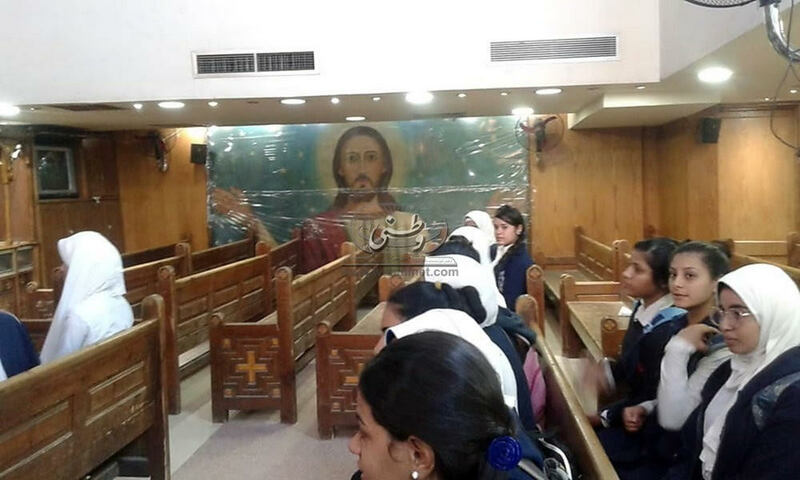 Under the slogan “I’ll start with myself” Heba Saad, Principle of the Secondary School for Girls in Mallawi, Minya, took a number of her students to visit a local mosque and church. 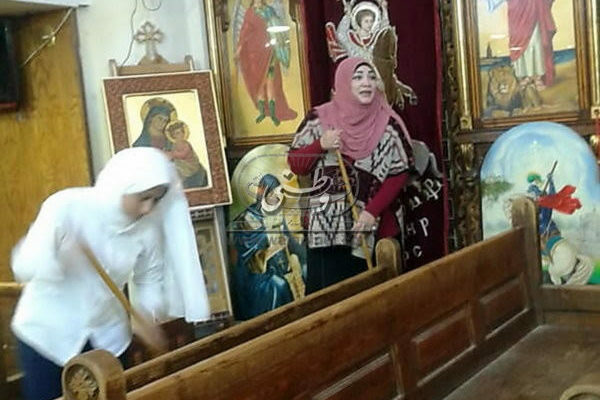 Once they arrived at the church and were welcomed by Father Moussa Girgis, Ms Saad held a broom in her hand and urged her students, who were likewise furnished with brooms, to clean every corner of the church. This included even the priest’s office and the passageways. The task was completed with loving enthusiasm. Ms Saad stood in the nave of the church in presence of Fr Moussa, and spoke to her students. She said: “Muslims and Copts have always strongly bonded along the ages, and we must show this bond of love to the entire world. 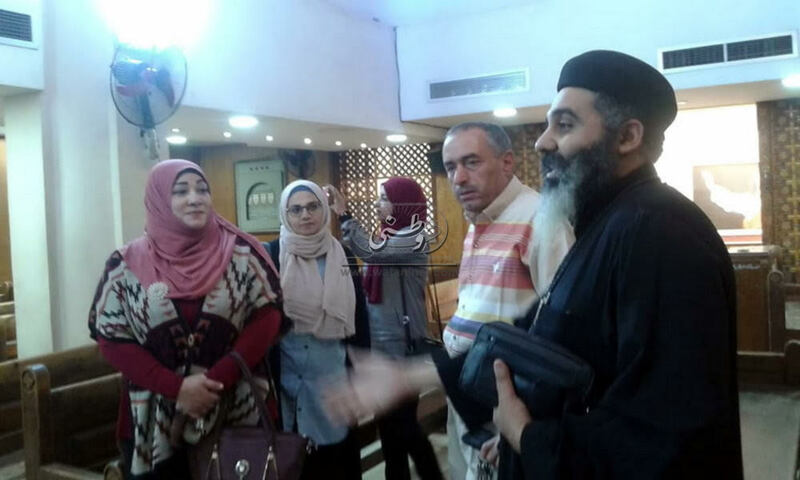 We must not allow those who hate Egypt to deform her image.” Among the school group present was Muhammad Reda al-Hawari, senior Arabic language teacher. Mr Hawari talked about his close relationship with the family of the late priest of the same church during the 1980s, Fr Youssef Khalil, and how he was treated by them as a family member. Father Moussa warmly welcomed his visitors, saying that the church was part of their home, and part of our Egyptian history. He talked to them about the history of the Holy Virgin’s which is among the oldest churches in Mallawi. The visit concluded with the guests lighting candles in front of the Holy Virgin’s icon, then taking selfies and a group photograph with Fr Moussa.